I’ve got a confession to make: for most of my life, I’ve perceived Chips Ahoy as the ugly step-sibling of Oreo cookies. Nothing could cause me to waver in my loyalty to the heavenly taste of Oreos dipped in a tall, cold glass of milk – except, perhaps, a stellar advertising campaign. Nabisco’s recently stepped up their advertising game in an innovative effort to give their second-class cookie a leg-up. 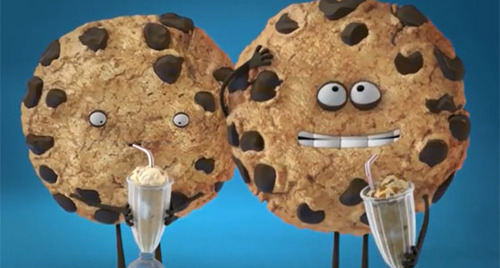 The refreshingly simple 30 and 15-second shorts feature an adorably mischievous chocolate chip cookie and a healthy dose of humor (a hallmark characteristic of the Chips Ahoy brand). 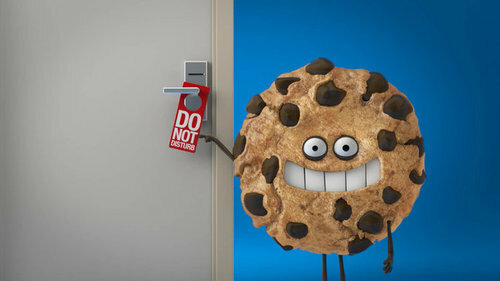 This cute little guy is a less creepy improvement of Chips Ahoy’s “Cookie Guy” who was retired in 2010. Certain to reach the school-aged target audience and possibly even some grown-ups, this series of commercials might just bring Chips Ahoy neck-and-neck with milk’s favorite cookie! AdWeek’s Gabriel Beltrone remarked, “Sometimes a little stupid is just right.” Honestly, I don’t see any stupid in this campaign. I see goofiness, creativity, and humor. The creative-minded folks who made these shorts knew that the Chips Ahoy brand needed to do a better job of capturing our attention, so they injected the campaign with a little more fun and excitement. Properly executed, this kind of energy and outside-of-the-box approach is what elevates a brand and inspires consumer enthusiasm and loyalty (think Dove, Kmart, Old Spice, or GEICO). Smart? Yes. Stupid? Not even close. Chips Ahoy has been standing in Oreo’s shadow for as long as I can remember. But guess what? I just might choose Chips Ahoy over Oreo the next time I’m at the grocery store – all thanks to an animated cookie with a brain freeze! When was the last time a single ad campaign changed the way you viewed a brand? Share your story with us in the comment section below. Don’t forget to follow us (and me!) on Twitter and like us on Facebook!